The world can’t quite make up its mind about what to do with body hair: shave it, wax it, laser it, or keep it? The Sphynx cat, on the other hand, does not share mankind’s confusion. Born with an apparent absence of hair, it is quite comfortable in its own skin. While known to many as a “hairless” cat, the Sphynx is actually not completely devoid of fur. At close range, one just might see and feel the fine hairs on its warm skin. Some may cringe at the seemingly “freakish” appearance of this apparently fur-free cat, but it is just as adorable as its fluffy counterparts. Mannix Chua tells us more about this fascinating feline. 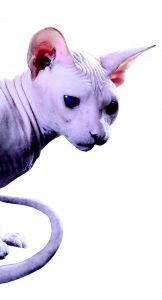 ARE SPHYNX CATS TRULY HAIRLESS? A: They actually have a very short downy coat, which can often be hard to see or feel. WHY DOES THE SPHYNX LOOK THE WAY IT DOES – THAT IS, HAIRLESS? A: The [appearance of the] Sphynx came from a genetic mutation. The breed started in [the] mid-1960s when a hairless kitten was born to a shorthaired queen. The kitten was mated back to its mother, which produced more “naked” kittens. A: They are very vocal, especially when in heat. They are sociable, loving, and playful. In fact, they are the most affectionate among my cat breeds. HOW WOULD YOU DESCRIBE THEIR PERSONALITY? A: They are sweet-tempered and very affectionate. They are also very lively. WHAT NEEDS DO THEY HAVE THAT MAY NEED EXTRA ATTENTION? A: They need weekly baths. Their skin produces oil, which can form a greasy film over their bodies. Their skin is also more sensitive than other felines. They get easily scratched. WHAT ARE THE INTERNATIONAL CAT ASSOCIATION (TICA) STANDARDS FOR THIS BREED? A: The skin should have the texture of chamois. It may be covered with very fine down, which is almost imperceptible to both the eye and the touch. On the ears, muzzle, tail, feet, and scrotum, short, soft, fine hair is allowed. [A] lack of coat makes the cat quite warm to the touch. Whiskers and eyebrows may be present, or may be totally absent.The cat should not be small or dainty. The Sphynx is lively, intelligent, and above all, amenable to handling. ARE THEY EXPENSIVE TO KEEP? A: No, they are not. Just give them good food, clean water, and plenty of love. ARE THEY SIMILAR TO ANY OTHER BREEDS? 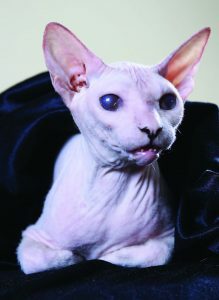 A: Other breeds similar to the Canadian Sphynx are the Bambino, Donskoy, Levkoy and Peterbald. They are all “hairless”. A: They are not hypoallergenic. They still produce protein in cat saliva and skin secretions that causes allergies. HOW CAN A POTENTIAL OWNER TELL IF A SPHYNX FOR ADOPTION IS HEALTHY? A: [It should have] clear eyes and very lively, clean skin. 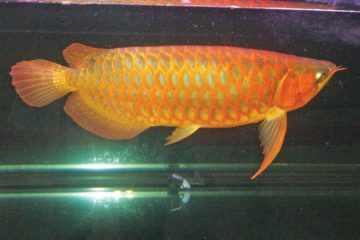 Its body should not be very thin [and it must have a healthy appetite]. WHAT MYTH ABOUT SPHYNX CATS DO YOU OFTEN HEAR? A: That they are from Egypt. 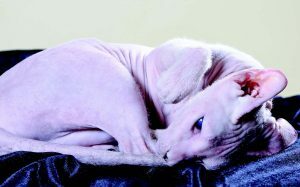 HOW DOES ONE ENSURE THAT A SPHYNX COMES FROM ETHICAL BREEDERS? A: Right now, I think there are many importers and breeders here in the Philippines. Do some background checks on them before you [make a decision]. ASIDE FROM PROVIDING ITS NEEDS, HOW ELSE DOES ONE CARE FOR THIS BREED SO THAT IT LIVES A LONG AND HAPPY LIFE? A: Give [them plenty of] attention. Play with them and cuddle with them. Nope, this cat definitely did not come from the desert, nor did it come from ancient times. Many mistake the Sphynx to be a feline that originated in Egypt because of its name, but this is far from the truth, literally. 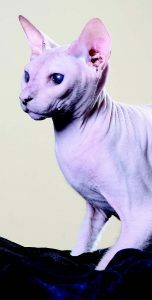 The International Cat Association says it used to be known as the Canadian Hairless Cat. According to a 2015 article by Kirstin Fawcett, the first naked feline, as you can tell based on its original name, originated in Canada – where it gets so cold that it snows. The cat’s physical appearance is reminiscent of the giant Sphinx statues in Egypt, eventually leading to its current breed name. The ancient sculptures after which it was named also have a smooth surface, thanks to constant exposure to the elements. 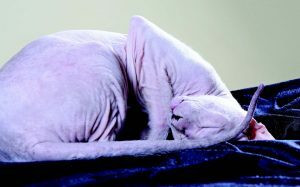 While some Sphynx cats overproduce oil, others suffer from dry skin and need to be moisturized, according to Cat Time. Either way, the oil on their skin may leave spots on fabrics, and bathing them at least once a week helps prevent this problem. Make a habit of bathing them as early as possible and they will learn to love it. Yep, cats don’t always hate water!